 DeLonghi DBM450 bread machine review. 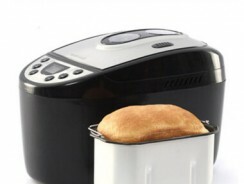 A good bread maker with robust features and a convection option for a better crust. West Bend 41300 bread machine review. Bakes a horizontal loaf and features two fixed kneading paddles. A good value for the money. 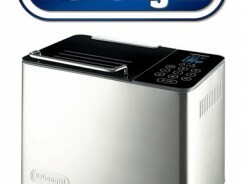 Breadman BK2000B bread maker machine review. A solid performer for the money offering the ability to bake two 1-pound loaves at the same time. 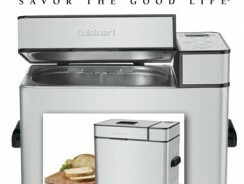 Cuisinart CBK-100 bread maker review. 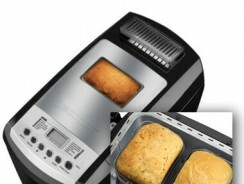 A lower cost bread machine with a large set of features you would expect on higher priced models. 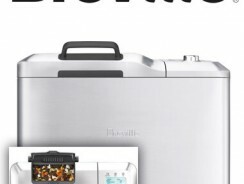 Breville BBM800XL bread maker review. A very good bread machine with an automatic fruit and nut dispenser and a customized setting option.